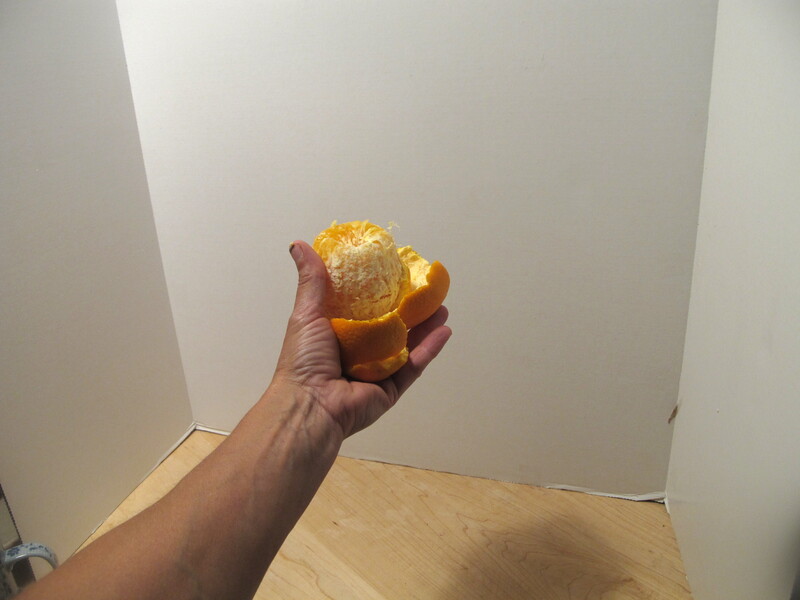 Peel an orange behind a screen and ask students when they smell something new. Hide the orange behind the screen, so that students do not see it before the activity. Start to peel the orange behind the screen and ask students to raise their hand when they can identify the smell that is floating their way. Note that people's sense of smell differs widely, so some students will smell and recognize it quite quickly, and others may have trouble identifying it. Do not require that everyone smells the orange before revealing what it is. It takes a while for the smell molecules to be bumped away from the orange by the air molecules, hence the students nearer the orange will smell it first. Once the odour molecule reaches your nose, they fit onto larger receptor molecules, which sends a signal to your brain.